Congratulations to Ashley Palmer and Matt Judy for their participation in OU¹s Undergraduate Research Day, hosted by the OU Honors College. Their presentation, titled "A Ground-Based Radar to Enable the Next Generation of Atmospheric Measurements", received 1st Place in the CEES / Computer Engineering session of the daylong event. Ashley and Matt will share a cash award of $250. A reception to honor of all the recipients will be held on Tuesday April 18th, 3:30 p.m., in the Nancy L. Mergler Library at the Honors College, David L. Boren Hall. 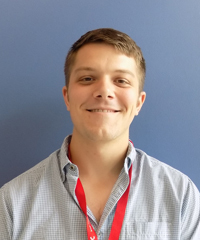 ARRC/ECE PhD student Andrew Byrd was recently awarded 2nd place in the Oral Presentation Category of the AMS 33rd Conference on Environmental Information Processing Technologies (EIPT) Student Competition. 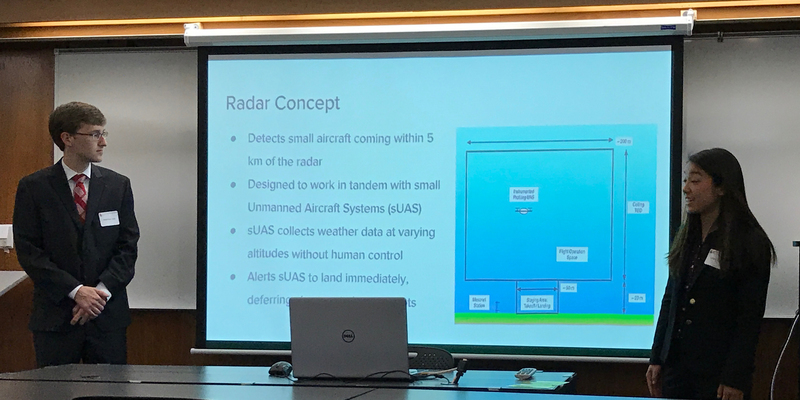 Andrew's presentation was titled "Demonstration of Weather Observations with a Cylindrical Polarimetric Phased Array Radar. Congratulations Andrew! The Radar and Remote Sensing (R-SAT) team met recently at the National Weather Center. Team members are (l. to r.) Nathan Goodman, John Appleby, Kevin Kelly, Fawwaz Ulaby, Victoria Cox, Charles Elachi, Conrad Grant, Carl Banner, Robert Palmer, Scott Mason, Mark Yeary, Kelvin Droegemeier and Berrien Moore. We've made the front cover of IEEE Aerospace and Electronic Systems (AES) Magazine on the December 2016 issue. IEEE AES Magazine is a monthly magazine that publishes articles concerned with the various aspects of systems for space, air, ocean, or ground environments as well as news and information of interest to IEEE Aerospace and Electronic Systems Society members. 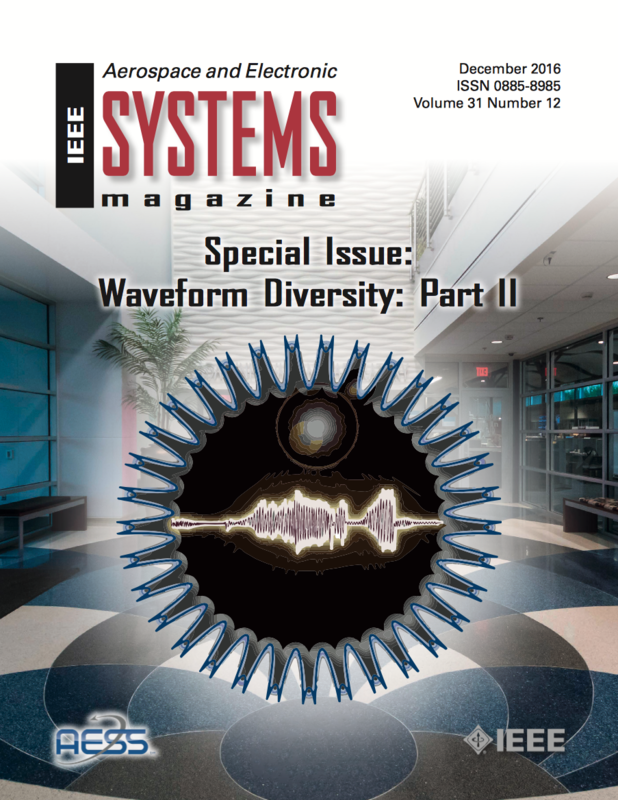 This is a special issue on waveform diversity. Subsequent years are according to the following table. 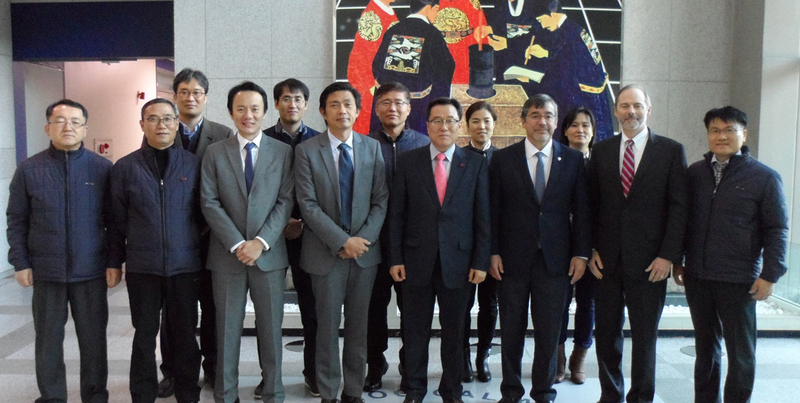 ARRC/OTD members visited the Korean Meteorological Administration (KMA) in Seoul recently to exchange ideas on the advancements in weather radar technology and how the KMA and OU can cooperate in the future. Attendees included ARRC members Robert Palmer, Tian-You Yu, Boonleng Cheong, and Jim Bratton from the Office of Technology Development. Congratulations to ARRC/ECE Ph.D. student Rodrigo Lebron Garcia on winning 1st place in the poster contest at the recently held Engineering Graduate Student Community, Gallogly College of Engineering Fair 2016. Rodrigo's poster, “A Novel Near-Field Robotic Scanner for Surface, RF and Thermal Characterization of Millimeter-Wave Active Phased Array Antenna,” reflects his research in active phased array antenna calibration. 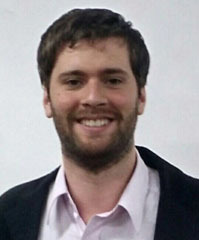 Rodrigo works under the supervision of Dr. Jorge L. Salazar-Cerreno. ARRC members Tian-You Yu, Boonleng Cheong, Robert Palmer, and Matt McCord, along with OU’s Office of Technology Development Executive Director Jim Bratton, recently visited Pukyong National University in Busan, South Korea for the establishment of collaborative research and exchange. ARRC/ECE professor Dr. Robert Palmer has been selected as a Fellow of the Institute of Electrical and Electronics Engineers (IEEE). 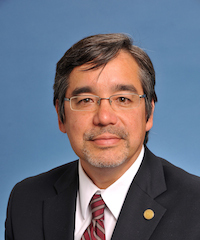 Recognizing the achievements of its members is an important part of the mission of IEEE. The distinction of Fellow is an honor conferred by the IEEE Board of Directors upon a person with an extraordinary record of accomplishments in any IEEE field of interest. Each year, following a rigorous evaluation procedure, the IEEE Fellow Committee recommends a select group of recipients for elevation to IEEE Fellow. Less than 0.1% of voting members are selected annually for this member grade elevation. Dr. Palmer’s specific citation was “for contributions to atmospheric and meteorological radar science”. Congratulations!